Much of the Scotch whisky world may be dictated by heritage and tradition, but there have been many recent innovations that have shaped the industry as well as determine the kind of whiskies we see on the shelves today. One such innovation that has gained incredible traction is the use of cask finishing, a process that sees a whisky that has already undergone initial aging in a particular wooden cask get transferred into a different cask for additional maturation. For example, a distillery may first put its new make spirit into oak barrels that previously held bourbon to age for a number of years, and then transfer the matured spirit into another oak barrel that once held a different spirit to further mature for another period of time. In a League of Their Own. Yet considering how recent the development in the use of cask finishing is – it only came to the fore in the past two decades – its origins are ironically shrouded in mystery. The Balvenie’s David Stewart is widely credited as one of the first distillers to experiment with the process. It was in the early 1980s, and when tasked to create a new expression for The Balvenie to complement the existing Balvenie Reserve 10 Years Old Stewart recasked Balvenie liquid that’s already been maturing in American oak casks into European oak casks. The result was the 12 Year Old Balvenie Classic. In fact it became so successful that to celebrate the centenary year of The Balvenie in 1993 Stewart resurrected the Balvenie Classic in the form of the Balvenie 12 Year Old DoubleWood when he refreshed the distillery’s core offerings. It joined the 10 Year Old Founders Reserve – a marriage of three cask finish types – as well as the 15 Year Old Single Barrel from American oak and the multiple award-winning Balvenie PortWood. 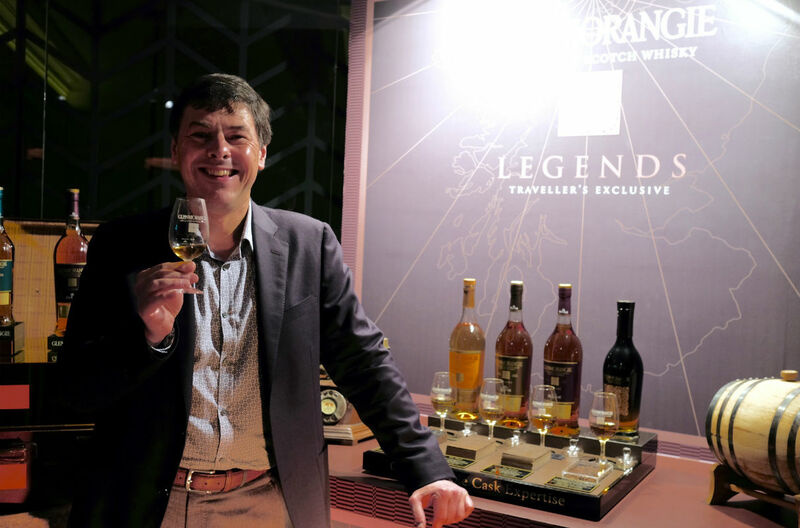 At around the same time, Dr. Bill Lumsden joined The Glenmorangie Company. He was particularly enamoured in some side projects the distillery was doing that had fallen by the wayside, and convinced the board to let him resurrect them. With the money they provided him, the wine lover quickly procured barriques from highly-regarded wineries such as Bourgogne’s Domaine de la Romanée-Conti and Château d’Yquem of Bordeaux to experiment with. “I had them before many other distillers in Scotland,” Lumsden (pictured above) claims. But both Stewart of The Balvenie and Glenmorangie’s Lumsden steadfastly refuse to claim any kind of credit for inventing the practice or get pulled into the argument as to who was the first to come up with it. Richard Paterson, master distiller of The Dalmore and creator of many multi-cask finished whiskies, has a different perspective. 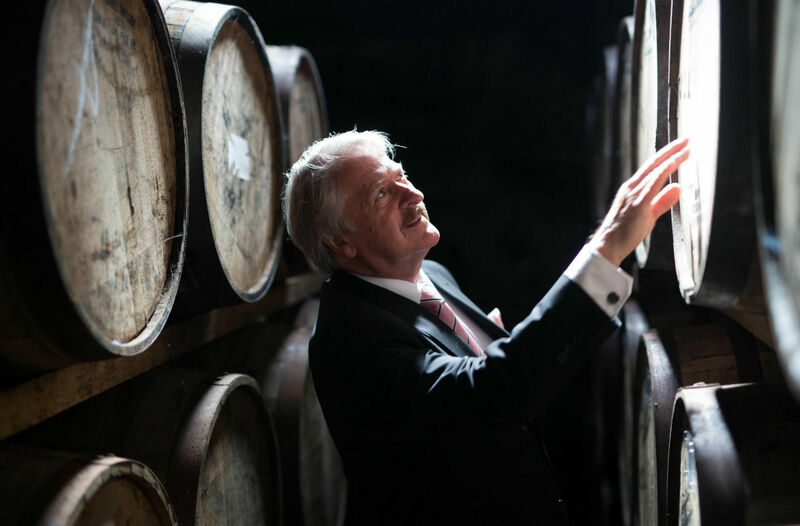 Since it is a legal requirement – as determined by the Scotch Whisky Association – for all Scotch whiskies to be aged in an oak cask anyway, he asserts that it’s a process that distillers could have been doing all along over the ages. “It’s difficult to say who came up with the idea, we could argue that we at The Dalmore conceived the idea as our custodians at the distillery were aging and finishing whiskies in different ways when no one else was,” he says, adding that The Dalmore has had exclusive relationships with some of the world’s bodegas and wineries for many years. What they can all agree on, though, is that their role is to work closely with both the whisky and the cask in order to nurture the spirit by taking on all the exceptional flavours that can be imparted by the wood. Sherry casks, which were traditionally used to age new make spirit, in recent time have been making way to ex-bourbon casks due to the latter’s cheaper price and easier availability. Instead many distilleries are increasingly using them to finish already matured spirit, adding another level of complexity depending on the kind of sherry the casks used to hold. Broadly speaking, we can expect casks that once held a rich, sweeter style of sherry such as Pedro Ximenez to give a whisky notes of rich berries and sultanas, while lighter sherries such as Fino impart more delicate fruit and floral characteristics. Both David Stewart of The Balvenie and Glenmorangie’s Bill Lumsden steadfastly refuse to claim any kind of credit for inventing the practice (of cask-finishing) or get pulled into the argument as to who was the first to come up with it. And then there’s the other fortified wine, Port. Typically a sweet red wine, Port imparted both flavour and a ruddy colour to whisky. The Balvenie, for example, use casks that once held Tawny Port for many years. Flavours imparted by such casks – such as to The Balvenie 21 Year Old Portwood – can include notes of raisins, sultanas, and some bitter chocolate. Casks that previously held rum have also gotten more popular. The rum casks used by The Balvenie, to finish its 14 Year Old Caribbean Cask for example, produce delicate spice notes and sweet tropical fruitiness. Independent bottlers such as Samaroli and Douglas Laing also often experiment with rum casks, creating small batch, limited edition whiskies bursting with notes such as vanilla, demerara sugar, and coconut. And since Scotch whisky laws do not specifically forbid the use of casks that have previously held other kinds of alcoholic liquid as long as they are made from oak, distillers have been experimenting widely. Take wine casks, for example, which can provide a different dimension to the base whisky depending on the style of wine. “Cabernet Sauvignon will bring Morello cherries and sweet plums, whereas a lighter style of wine like Zinfandel would gift the whisky with softer notes of blackberries,” Paterson explains (pictured above). Not every cask finishing works, of course. The trick is for master distillers and blenders to determine finishing times so that the whisky stays true to house character – something that independent bottlers that also experiment with cask finishing don’t have to adhere to – while taking on optimum flavours from the wood. 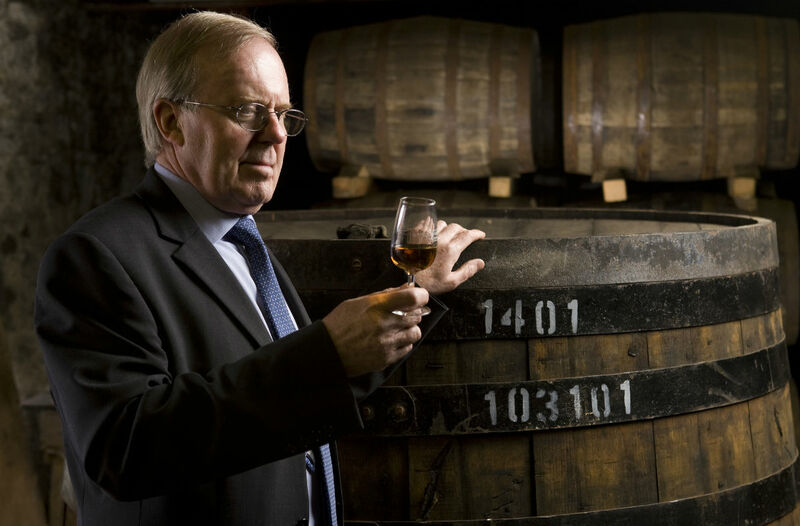 “Ultimately the whisky must still be be very much The Balvenie, and not overpowered by the wood,” Stewart points out. This is especially so where wine casks are concerned, according to Glenmorangie’s Lumsden. “One of the things you have to be careful of is that invariably these wine barriques are made of French oak and Frenck oak is very unforgiving for whisky, so typically my preference would be for these barriques to have at least been filled with two vintages of wine first to tone them down,” he shares. There’s also no standard way to finish a whisky, adds The Dalmore’s Paterson. “Sometimes two finishes are perfect; other times I’m seeking something more complex with an explosion of flavours which is why sometimes I carefully mature the whisky in many different casks,” says Paterson. Winning it for the Fans. When you are next at a specialty whisky shop or bar and see the incredible array of whiskies on offer where a good number of which have employed cask finishing in their making, it’s hard to disagree. A version of this article was first written for and published in the issue No.3 of Cask&Drams, Singapore’s first whisky-focused magazine.